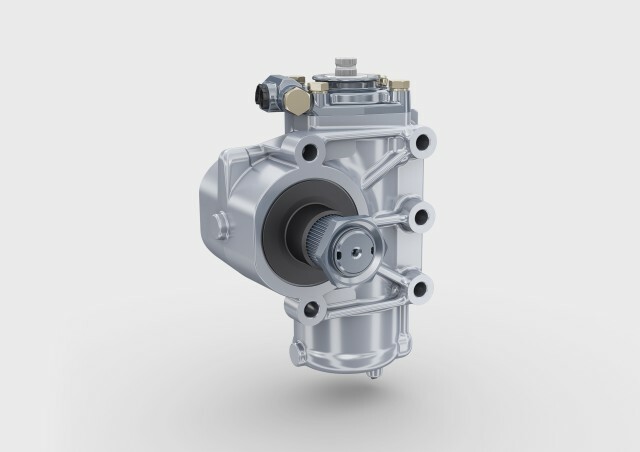 The success of tedrive’s base recirculating ball steering gear is based on three factors: robust design, proven technology and long-standing experience. The use of a variable steering ratio provides the driver with an optimized steering feel. In addition, the recirculating ball steering gear allows a very high hydraulic power density with compact installation dimensions. The modular design enables the varied positioning of the steering system in the vehicle, particularly in combination with angular gears on the input shaft side. The steering systems are also available in the two-circuit version. Additional hydraulic cylinders can therefore be selected for steering assistance tasks.